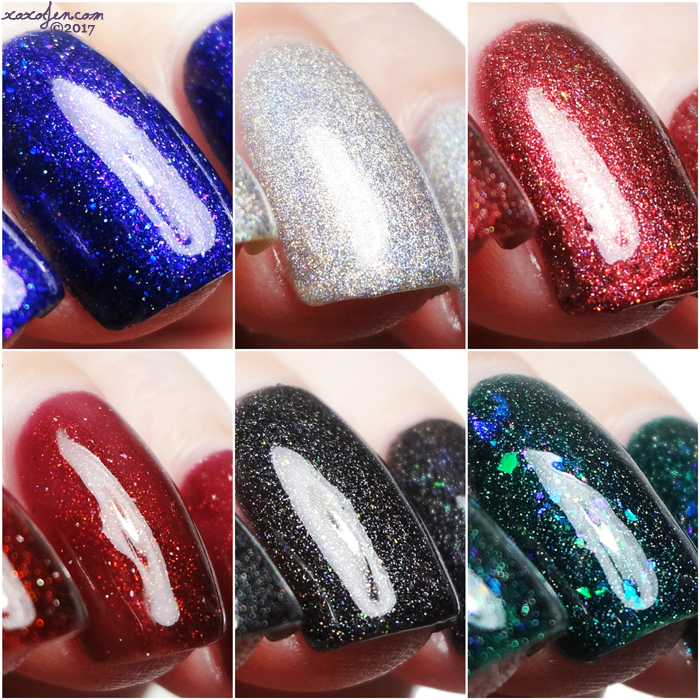 xoxo, Jen: Hella Holo Customs: Giveaway! 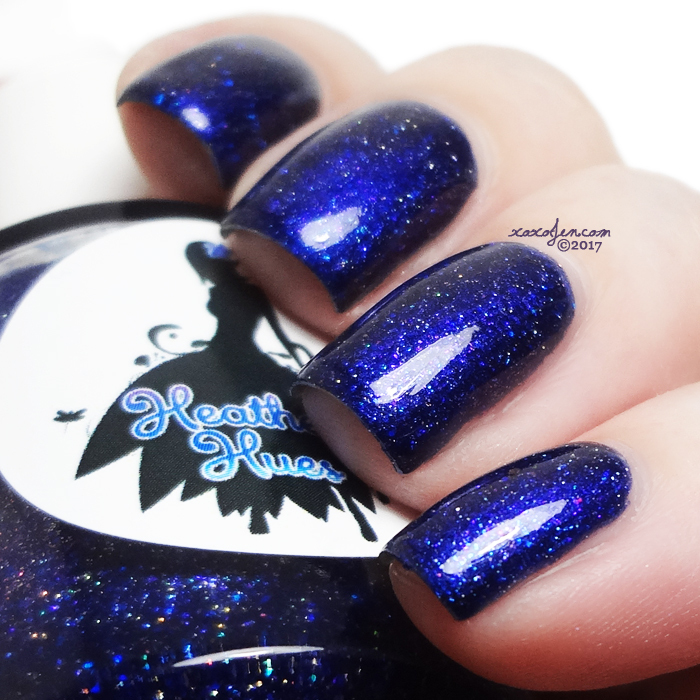 HHC is doing a giveaway of several special polishes that I'm previewing for you here. You'll need to join the group to enter! And don't delay, the giveaways are live and have short time frames. 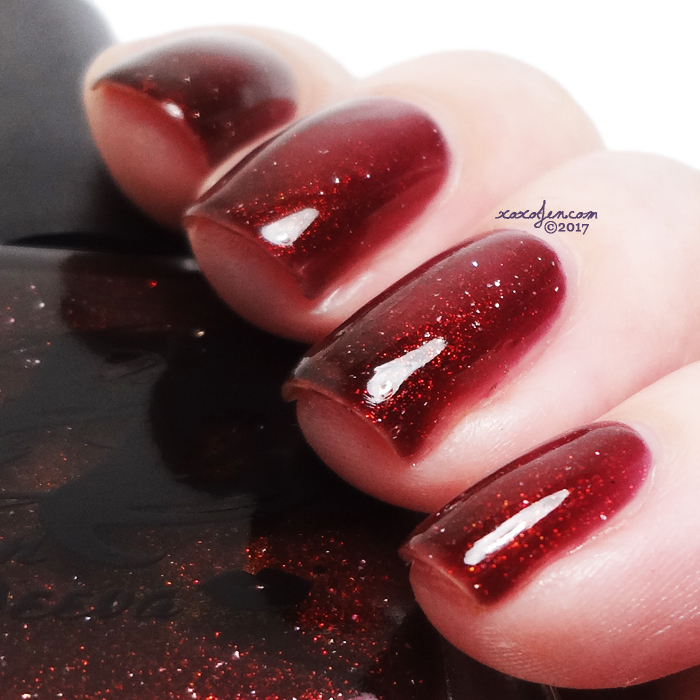 These polishes are not for sale and are currently limited to giveaway only! 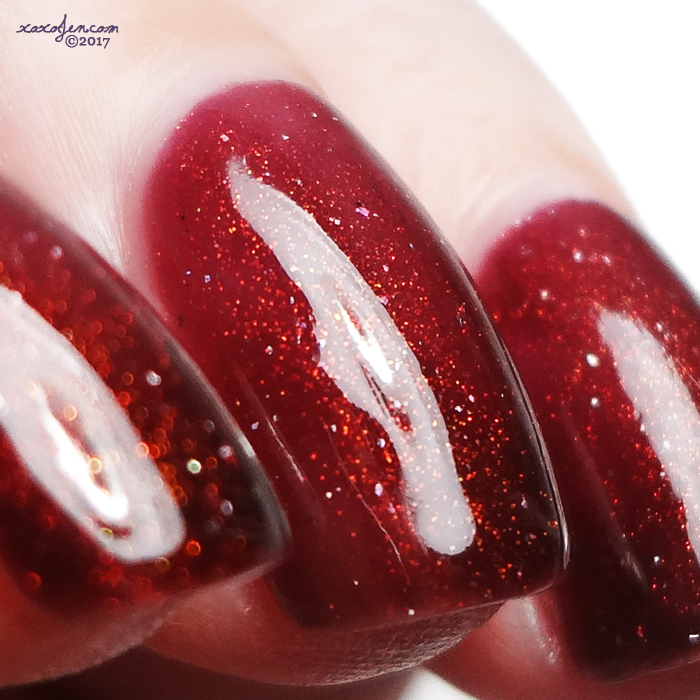 A burgundy vampy jelly with red/green morphing pigment,better known as unicorn pee, and holo flake throughout. 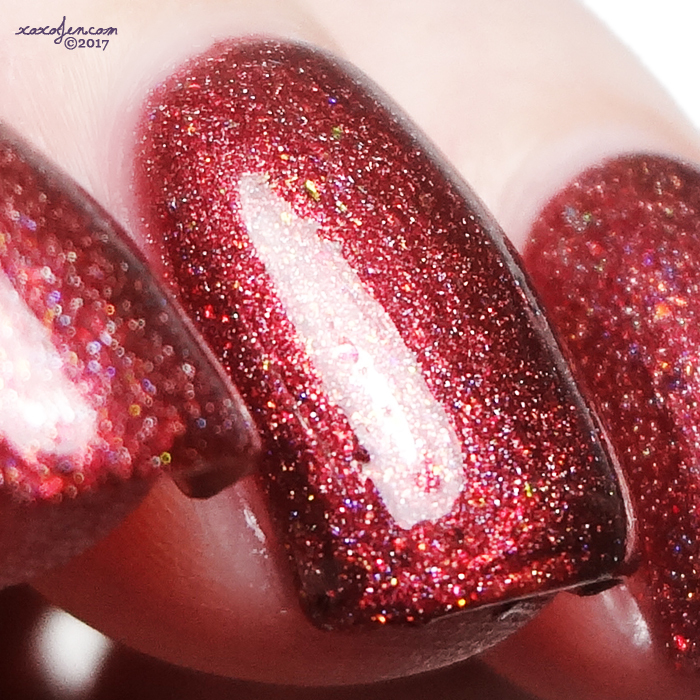 Black base in a heavy holo sauce with illusion flakes. Heavy linear holo with a pretty copper shift running throughout. 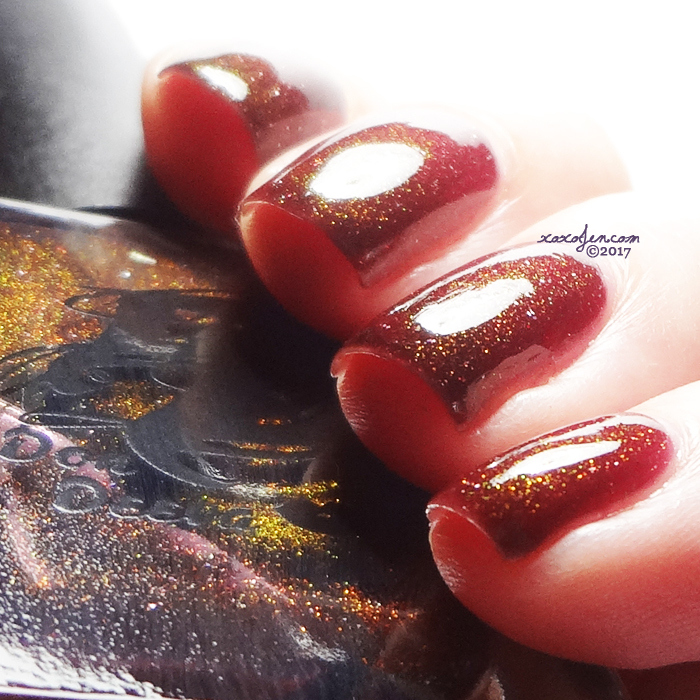 I wore two coats of each polish for opacity, the formula was good on all six. If you prefer thin coats, three may be needed for Queen Pluviophile and Lady Clinomania. Join the two groups today and enter to win these! Join HHC first and then request to join join the HHC Chat group. The colors are looking great!